The spiral is one of the oldest symbols in human artwork, with examples dating back to at least the Neolithic period. It represents cycles, rebirth, nature, and even spirituality. Having an enduring lineage, this very natural symbol continues to appear in artwork and symbolism in the modern world. Today, we’d like to explore some of our favorite spiral graphics in the GMG library and highlight what makes them so special. 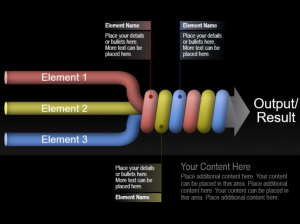 Here we see three separate elements coming together, splicing and coiling into one unified output. This diagram is great for illustrating the constituent parts of a greater whole. For instance, perhaps you want to show the various personality traits that go into being a good parent. The three elements could be Patience, Understanding, and Consistency, with the end result being Effective Parenting. Of course, anyone who has actually been a parent can tell you it’s more complicated than just that, but you get the idea. Every business or organization has their own processes, cycles, and procedures. These often have to be repeated several times—even indefinitely—to achieve the organization’s goals. This ascending spiral diagram is perfect for showing that repetitive process and development with each phase or iteration of the cycle. 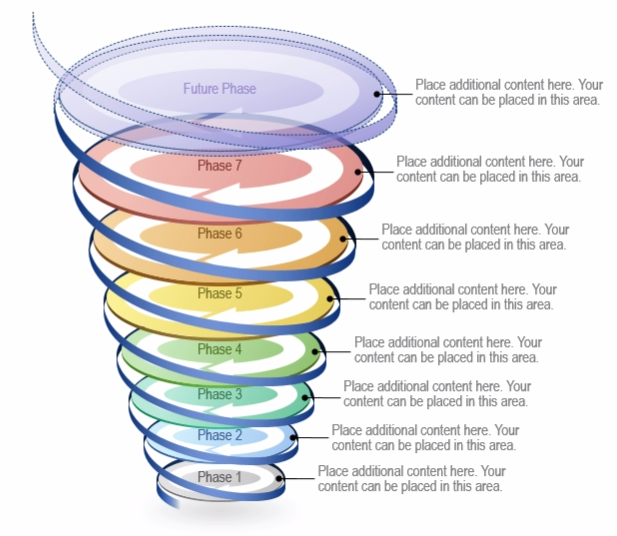 Along with showing simply that the cycle continues to happen, this graphic also allows you to add additional information to show the changes that occur with each recurring cycle. 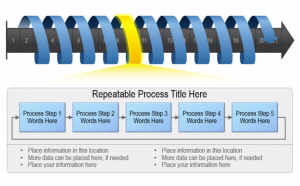 It’s great to know if a process will repeat itself, but sometimes you need to breakdown the process itself. 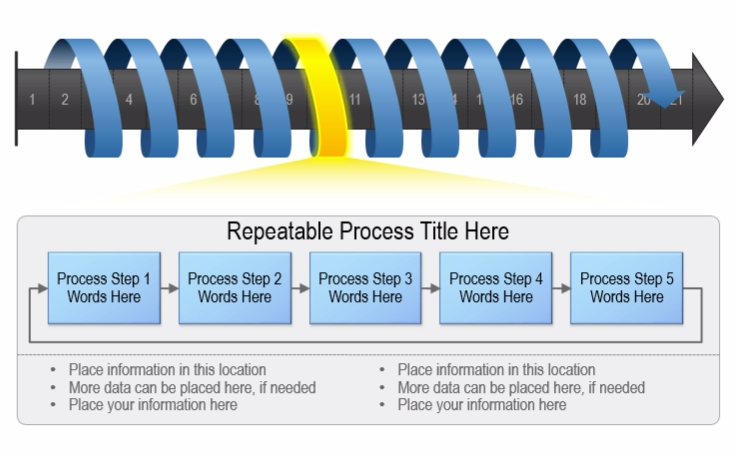 This diagram simultaneously shows that a process repeats several times over and breaks down what the actual process is. 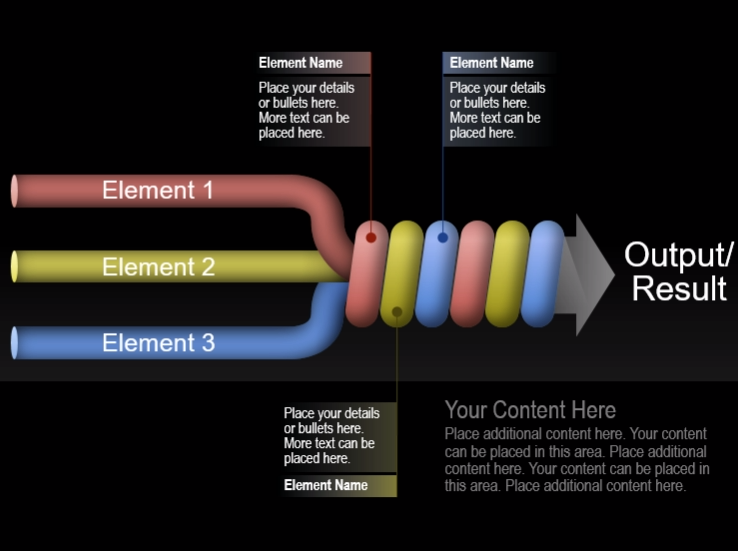 This allows those viewing the presentation to keep in mind the process’s recursive nature while actually learning the nuts and bolts of the process itself. You can find these and other great spiral charts graphics in our library. 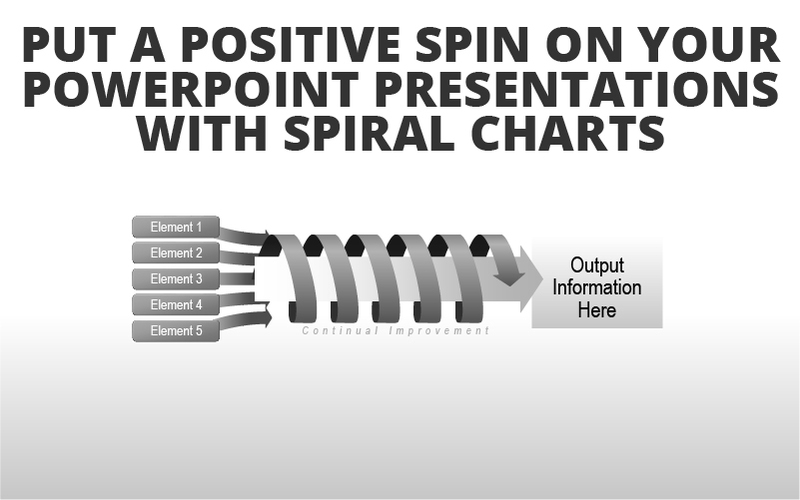 Download today to send your presentations spiraling upward.